Global Justice Seekers | We believe in Justice. Justice belongs to victims. We want Justice for all victims of crime. 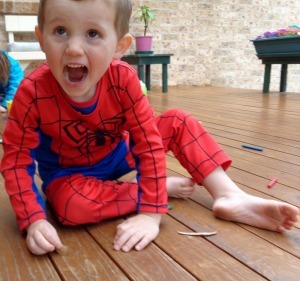 William Tyrrell is missing since September 12, 2014. He disappeared into thin air. No one knows where he is or what has happened to him. Investigators has been investigating this abduction for more than a year with 1000’s of tips flooding in. These tips include sightings of William. This case is a high profile case in Australia and as concerned humans do, they all took to every type of social media to express their concerns, theories and thoughts. Plenty of Facebook pages and groups popped up, each member to do his or her best to come up with a theory. Opinions of people are different, and emotions are all over the place because at the end of the day, William is missing. There is no finality to William, no one knows if he is still missing or if he has passed. This is hard for everybody involved. Some feel Bill Spedding and Tony Jones are the guilty people. Some feel it is a pedo ring operating in the area. Some feel it might be a person no one has ever heard about. Sadly a large amount of people feel skeptical about the foster family whom William was entrusted to by Social Services. It has become evident since the foster carers spoke up for the first time since William disappeared that they are frowned upon by those following the case closely. According to media reports, a Court Order prevents the foster carers’ identities to be made public. However, one of the foster carers made a public statement that even if there was no Court Order in place, they would not show their faces to the world nor would they reveal their identity. The reason they give is because they as the foster carers want to shield the biological sister, they do not want the sister to be known as the ‘sister who’s brother was abducted’. The foster carers appeared in a documentary on national television, 60 Minutes. During this interview their faces were obscured from the cameras. After the 60 Minute documentary, all hell broke loose on social media. Revelations were made about suspicious cars seen on the morning of William’s disappearance. At the same time of the documentary, the emergency call made by the foster mother on that morning was made public. The public was surprised by the calm demeanor of the foster mother as she made the call. No panic, no urgency. Just a normal call, calm voice, the operator pushing for information. Some feel there was no urgency from the foster mother to show the immediate need for help from Law Enforcement. During the call, the operator asked the foster mother if there was any suspicious vehicles, to which the foster mother said a definate “no”. She repeated “no” three times. So, the possibility at the time of a possible abduction was put aside. 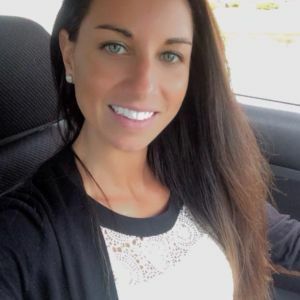 During the documentary, it came to light that there were two suspicious cars parked across the street and this news came from the foster mother. She explained she saw two cars parked across the road earlier that morning. She saw these cars twice that morning, and it was made clear that she felt uncomfortable when she saw the cars. The foster mother only remembered the cars later that night when she collected her sister from the airport. On her return, she gave this information to the searchers at the command center set up at the house William disappeared from. Up to then the possibility that William was abducted did not cross anybody’s mind. It was believed that William merely wondered off in the dense bush behind the grandma’s house. Human nature kicks in and those sitting on the side watching in on this tragedy can’t help to feel that William has been cheated by not knowing from the start that a possible abduction was actually in play. Some turned their support for the family and questions are asked. People want answers. Is there a prowler on the loose? Those that support the foster family are critical of those that doubt the foster family. The division between support and doubt came after the revelation of the emergency call and the documentary, and the only reasonable explanation is one thing only. The very words spoken by the foster family. Their explanations at times have inconsistencies. No straight answer to a simple question. When asked to tell everyone about William, the foster mother would talk about the photographs she takes, or the amount of photographs she takes when going out an the reason for taking pictures. Evading. The only reason why a percentage of the public is having doubt is because of the information, either verbally or actions, given by the foster parents. Since William disappeared, renovations of over $500,000 have been done to their house. A photograph has been leaked of the foster father drinking in a bar with work mates, four days after William disappeared. Who does that? some would ask. How can the public help it if the words and actions of the foster carers are suspicious? What do they know, what have they done, are they involved. ANGLETON – Three people who came upon a crash scene in Brazoria County where two children were killed by a drunken driver say they heard gunfire moments later. None of them, though, say they saw anyone at the scene with a gun. They testified Thursday inside a packed courtroom during the trial of David Barajas, who is charged with murder in the shooting death of 20-year-old Jose Banda in December 2012. 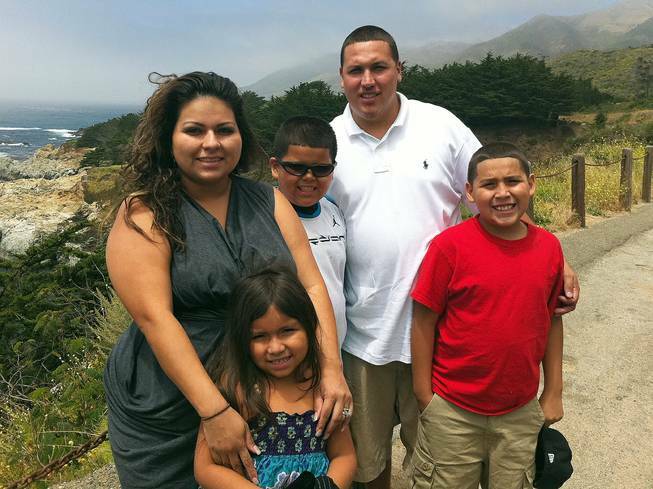 Barajas’ two boys, 11-year-old Caleb and 12-year-old David Jr., were killed when Banda rear-ended their father’s truck. Shortly after the crash, 911 operators received calls about gunshots fired, and authorities later found Banda slain in the front seat of his Chevrolet Malibu. Later Thursday, Barajas’ attorney, Sam Cammack, would try to place another man in the Malibu with Banda. Two of the witnesses, William Taylor Duncan, 17, and Landon Lain, 18, testified they saw the crash while driving home together that night. They pulled over when flagged down for help by a man saying his son had been hit. “(He said) ‘Call the police, my kid has been hit, make sure they don’t leave,'” Duncan told jurors. He said he believed the man was referring to any occupants in the Malibu. Lain said he then drove his vehicle in between Barajas’ Ford 250 truck and Banda’s car before the teens got out. On a 911 recording of call from Lain, he can be heard telling a dispatcher he heard a gunshot before the line disconnects. Duncan told jurors he stood a few feet in front of Banda’s car. Lain said he was also in front of Banda’s car. Each teen told jurors the man who flagged them down, asking them to help his children, was not at the crash site for about three minutes. They say he later returned and approached the Malibu. The teens testified they later heard a gunshot, but neither say they saw anyone with a weapon. The teens said they got scared after hearing the shots and left the scene. They returned later that night with Lain’s father. Another witness who came upon the crash was Tammy Archuleta, a cafeteria cook at the same school attended by the Barajas siblings. She was on her way home when she came upon the wreck. Archuleta saw a man, who appeared angry. However, she could not identity him as Barajas. 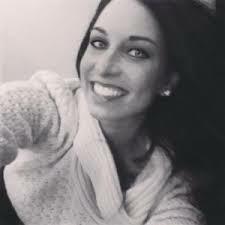 Archuleta also told jurors she heard gunfire minutes after she arrived, but her back was to the crash site and she did not see anyone with a weapon. Prosecutors also called Steven Wilson, a cousin of Banda. Wilson told jurors he had been drinking with Banda and another cousin, Gerardo Tellez, and Banda’s half-brother, Antonio Rodriguez, before the crash. 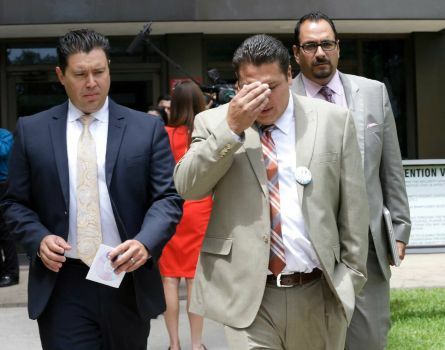 ANGLETON, Texas — A Texas father’s claims he did not fatally shoot a drunken driver who caused an accident that killed his two sons seemed to be bolstered Wednesday by testimony from prosecution witnesses. Two of the witnesses — a current deputy and a former one — told jurors they failed to note in reports that more gunfire had taken place well after the driver was shot. A third witness, a cousin of the motorist, gave contradictory testimony about whether David Barajas had hit Jose Banda before allegedly shooting him. Barajas, 32, is accused of fatally shooting the 20-year-old Banda in December 2012 near Alvin minutes after Banda plowed into a vehicle that Barajas and his two sons had been pushing on a rural road. 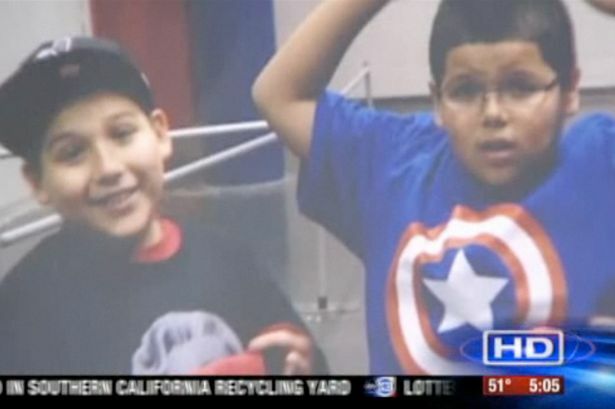 Twelve-year-old David Jr. and 11-year-old Caleb were killed. Barajas’ truck had run out of gas about 100 yards from the family’s home. Barajas’ attorney, Sam Cammack, has told jurors his client did not kill Banda and was focused only on saving his sons. A current deputy with the Brazoria County Sheriff’s Office and a former deputy with the department told jurors they failed to note in reports that they had heard more gunfire after arriving at the crash site. Cammack has focused his efforts at Barajas’ trial, which began Tuesday, on suggesting to jurors that authorities unfairly zeroed in on a grieving father as the killer without fully investigating other possible suspects. Cammack has suggested Banda could have been shot by several other people who witnesses say fled the crash site. Gerardo Tellez, Banda’s cousin, testified that he and Banda had become intoxicated on Jagermeister and possibly beer on the day of the accident. Tellez said he followed Banda home and witnessed his cousin slam into Barajas’ truck. Tellez said he fled after seeing the “body parts” of the boys on the road. He said before leaving he saw Barajas approach Banda’s vehicle and start punching Banda through the driver’s side window. Cammack later showed jurors a crime scene photo of Banda’s car and the driver’s side window was up. “You’re going to stick with that even though we saw (the photo with the window up)?” Cammack asked Tellez. Despite no murder weapon, prosecutors have said they have other evidence, including ammunition found at Barajas’ home that they say is similar to a bullet fragment found in Banda’s car. Cammack says police found a shell casing for a different weapon, a 9mm handgun, at the scene and that Barajas couldn’t have had enough time to retrieve a gun from his home and shoot Banda before authorities arrived. ANGLETON, Texas (AP) – A drunk driver did not deserve “execution” by a Texas father accused of taking the law into his own hands in a fit of rage over the killing of his two sons in a wreck, a prosecutor told jurors on Tuesday. David Barajas is accused of fatally shooting Jose Banda in December 2012, minutes after Banda plowed into a pickup truck that Barajas and his two sons had been pushing on a rural road. Twelve-year-old David Jr. died at the scene and 11-year-old Caleb died at a hospital. Barajas’ truck had run out of gas about 100 yards from the family’s home. Barajas’ attorney told jurors his client did not kill Banda and was focused only on saving his sons. “He deserved severe legal punishment, but he did not deserve a public execution,” Hrach said. Barajas allegedly left the scene of the accident, retrieved a gun from his home and returned to kill Banda. Sam Cammack, Barajas’ attorney, told jurors Barajas never left the crash site. Cammack portrayed Barajas as a father who was desperate to help his sons and was covered with their blood after he tried to perform CPR on the boys. “When police get there my client is doing what he was doing the whole time, trying to save his children’s lives,” Cammack said. Dashcam video of the crash scene played for jurors Tuesday after testimony had begun brought many in the courtroom to tears. Barajas kept his head down as the video was played. On the video, Barajas can be seen kneeling on the ground near a roadside ditch where the body of his son David Jr. had landed. A woman can be heard screaming, “My babies. Why? Oh my God, please help them.” David Barajas’ wife, Cindy, and their infant son and 8-year-old daughter had also been in the truck. They were not seriously hurt. Legal experts said the case will be difficult to prosecute given the lack of hard evidence: no weapon was recovered, no witnesses identified Barajas as the shooter and gunshot residue tests done on Barajas came back negative. An even greater challenge for prosecutors could be overcoming sympathy for the father. Many people in the town of Alvin where the tragedy occurred, 30 miles southeast of Houston, have supported Barajas. Some have said they might have done the same thing in a similar situation. The trial is in the county seat of Angleton, Texas. Hrach tried to minimize the absence of a murder weapon, saying a bullet fragment from a .357 caliber weapon was found at the murder scene and an open box with .357 caliber ammunition was found in Barajas’ home. Witnesses will testify that they saw Barajas leave the scene and then come back and approach Banda’s vehicle, going up against the car, appearing to be hiding something, Hrach said. When 911 calls were played for jurors during testimony Tuesday, Cammack tried to suggest Barajas would not have had enough time to shoot Banda. On another call, an unidentified caller said, “There is a guy shooting at people.” The person who was shooting was not identified. Cammack highlighted for jurors the timeline, while questioning dispatcher Grace Gambino. The first 911 call came in at 11:33 p.m., a child was reported dead at 11:34 p.m., gunshots were heard at 11:35 p.m. and police had arrived at the scene and cleared it for EMS to come in at 11:40 p.m. If convicted, Barajas faces up to life in prison. At least 25 family members and friends of Barajas were in the courtroom, wearing buttons that said, “Forever in our hearts, David and Caleb Barajas” and with a picture of the two boys. At least 20 relatives and friends of Banda were also in the courtroom. Before opening statements, Judge Terri Holder asked that family members take off the buttons, saying she did not want anything to influence the jury. “This is a difficult case for everyone involved. Everyone in here has lost somebody they loved,” she said.